Soon, shopping carts full of tissues, orange juice, and, of course, “clear liquids” will be spotted wheeling up and down store aisles. As temperatures fall, sales of cough, cold, and flu treatments will rise—along with other merchandise intended to soothe, ward off, or eliminate various symptoms. Although the 2013-14 flu season was described as comparatively mild, sales of cold/allergy medications, nasal products, and other health-and-wellness merchandise improved over the previous year. Combined sales of the products in the table below amounted to $7.7 billion last year. 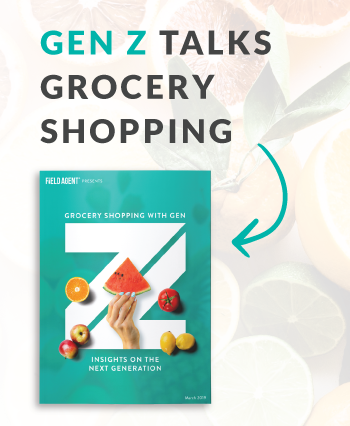 As part of our Fall Consumer Lifestyle Study, Field Agent recently surveyed 250 shoppers about their health-related plans, attitudes, and buying intentions. We gained some interesting insights from our agents. For instance, over half of the sample is already anticipating buying cough drops (70%), cold treatments (57%), and vitamins (55%) to keep themselves and their families healthy this year. We decided to move beyond simple buying intentions to actually address shoppers’ attitudes about their 2014 physical well-being. 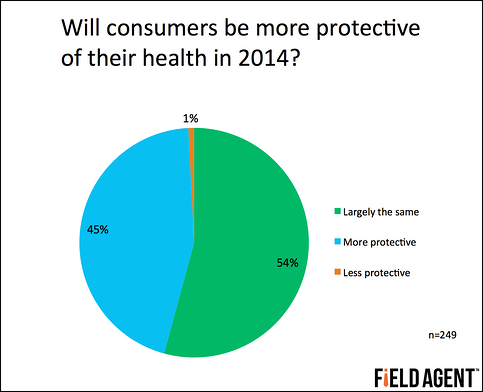 More specifically, we asked consumers whether they would be more protective of their personal health this year. 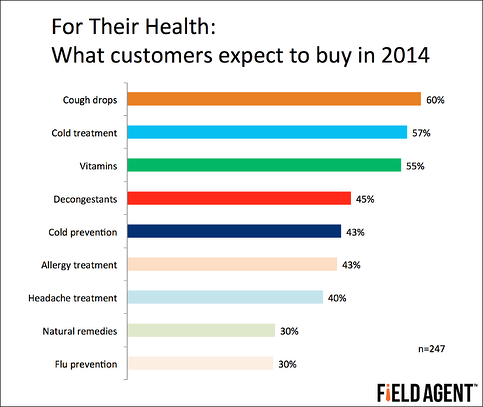 In all, 45% of shoppers said they would take better care of themselves in 2014, while 54% said their attitude would remain largely unchanged from the previous flu season. We took our analysis to yet another level. Those who indicated they would be more protective of their health (n=112) were asked that all-important question: Why? Ultimately, as presented below, consumers’ responses collected around nine distinct themes. Some motivations might appear more obvious than others, such as wanting to avoid the misery of sickness (21%). 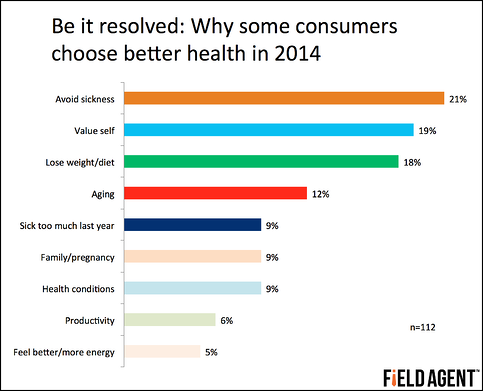 But our analysis also uncovered less predictable reasons why some shoppers are making the choice for better health in 2014. For example, 9% cited family members—or soon-to-be family members—as the primary reason for their heightened commitment, while 6% indicated they could not afford to be less productive, in the home or workplace, as a result of cold, flu, or other sickness. 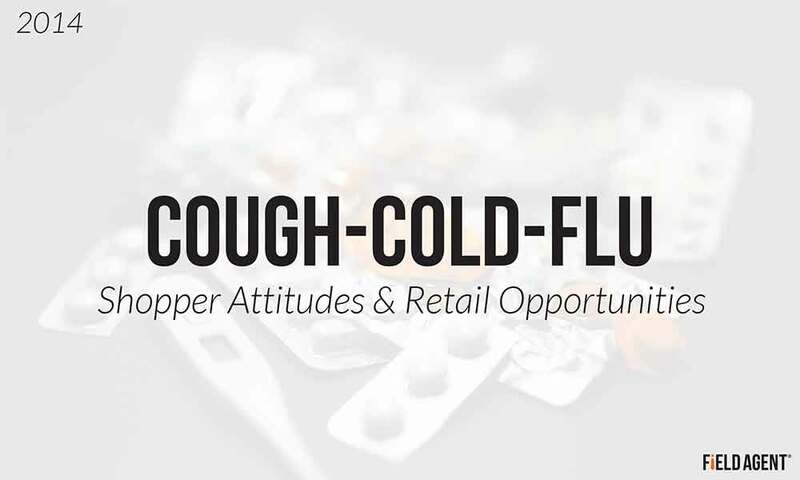 In short, for retailers and brands, timing is everything during cold and flu season. And while responsive distribution and well-timed promotions are certainly important, retailers and brands should also be concerned about their in-store performance: accurate pricing, properly placed and stocked displays, correct signage, and the like. After all, the real moment of truth occurs when that sniffling, sneezing, red-nosed customer wheels her cart up to your display or down your aisle. Will all the pieces be in place to serve this customer and gain a sale? Take the guesswork out of your fall-time in-store execution. Let mobile research be your eyes and ears at retail—so you can take advantage of short-lived opportunities this cough, cold, and flu season.